All our website financial transactions are handled through our third party payment services provider. We will share information with our payment services provider only to the extent necessary for the purposes of processing payments you make via our website and dealing with complaints and queries relating to such payments. If you request that we provide you with a copy of your personal data, or if you want us to delete or correct your personal data you will need to supply appropriate evidence of your identity (for this purpose, we will usually accept a photocopy of your passport certified by a solicitor or bank plus an original copy of a utility bill showing your current address). 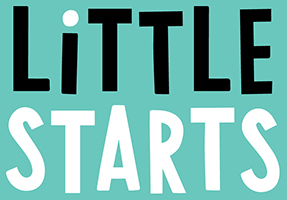 To contact us regarding your personal information you can email us at admin@littlestartsgiftcards.com or write to us at Little Starts Gift Vouchers Limited, 70 Commerce St Melbourne Derby DE73 8FT. If you have a complaint regarding our use of your personal information, please contact us using the details above. A Little Starts Director will review your complaint and respond within 5 working days. The data controller responsible in respect of the information collected on this website is Little Starts Gift Vouchers Limited, registered office 70 Commerce St Melbourne Derby DE73 8FT.